By submitting the form above, you verify the following statements are true and accurate. Federal Election Law requires political committees to report the name, mailing, address, occupation and name of employer for each individual whose contributions aggregate in excess of $200 in a calendar year. 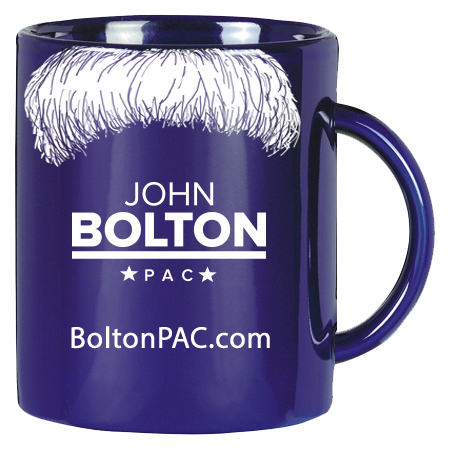 Contributions to John Bolton PAC are not deductible as charitable contributions for federal income tax purposes. Individuals and federal multi-candidate PAC may contribute up to $5,000 per calendar year. Federal law prohibits contributions from corporations, labor organizations, any person contributing another's funds, a federal government contractor or from a foreign national who lacks permanent resident status.